This Christmas, Lara wrote her own Christmas list for Father Christmas. On that list there were lots of Frozen-related goodies, sparkly pens, roller skates and the DVD of The House of Magic which she had seen at the cinema with Daddy during the school holidays and enjoyed so much that she wanted to watch it again. 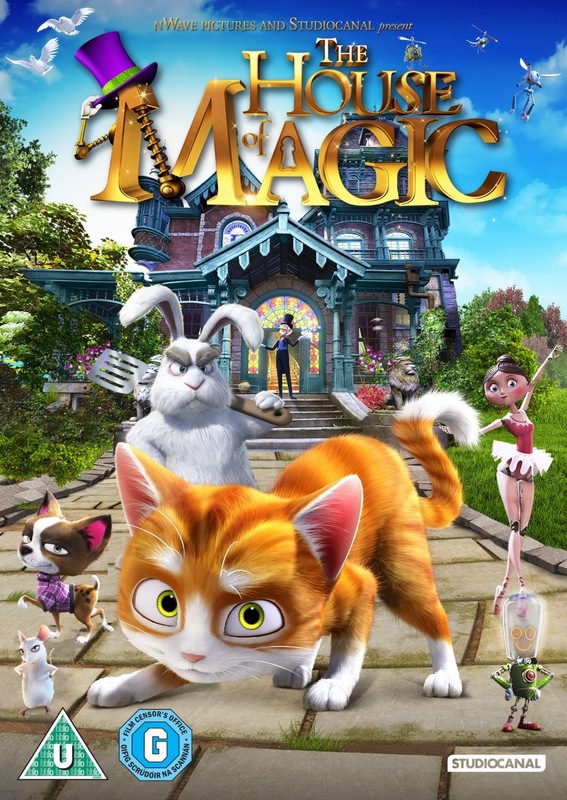 The House of Magic is an animated tale of Thunder the cat who is abandoned by his owners when they move house and who stumbles into a creepy yet fascinating old house which is home to a funny old man, Lawrence, who used to be a magician. Lawrence has a number of magical friends such as a big white rabbit, a mute light bulb and a little white mouse. Thunder becomes part of the family. Lawrence and his clan of magical creatures are trying to protect the magic house from being bulldozed by the man's nephew who is an over-eager estate agent. The tale is a familiar struggle between greedy family and ageing man but with the added twist of magical creatures. Lara really enjoys the animation in The House of Magic. The people are recognisably people and the animals have realistic shapes - it isn't overly stylised and Lara likes that. Neither myself nor Mr. B. were totally enthralled by the story but there is something in it that really struck Lara (age 5). Perhaps it is because it is the first time that Lara has really understood the emotional element of a film - the struggle between a greedy family member and an honest one. Unlike most children's movies, the House of Magic features some strong "baddy" characters. Not only the nephew but also Jack the white rabbit and Maggie the mouse who start plotting to get Thunder the cat kicked out of the house. It's thought provoking. Of course, by the end of the movie, all of the animals become friends when Thunder the cat helps the team pull together not only to save the house (well, nearly) but to save each other. Our The House of Magic DVD was a little Christmas gift from Father Christmas, aka Cash Generator who buy and sell lots of goods, including DVDs and Blu Ray.